Chirimen-gami-e - This is an unusual "crepe" print, known in Japanese as "chirimen-gami-e," which literally means "compressed thread paper print." 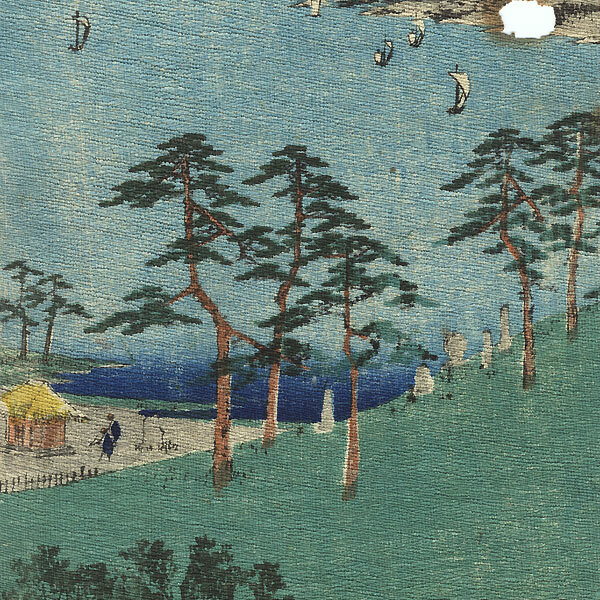 After the woodblock was printed in the traditional manner, the print went through a mechanical process that added a crinkled texture while also reducing the size considerably. The print was dampened and layered with a cardboard mold incised with parallel lines, then wrapped around an upright wooden post on a lever press. An opening in the lever fit over the post, and when pressed down over post, compressed the paper into the incised lines on the cardboard mold. This process would be repeated as many as 10 or more times, with the print slightly reoriented each time to achieve a uniform, highly textured, crinkled appearance similar to crepe paper. Although examples are known from as early as 1800 in Edo, chirimen-gami-e became popular with the Western market during the Meiji era. Crepe prints were often used for books, especially for children's books as the creping process made the paper less likely to tear. 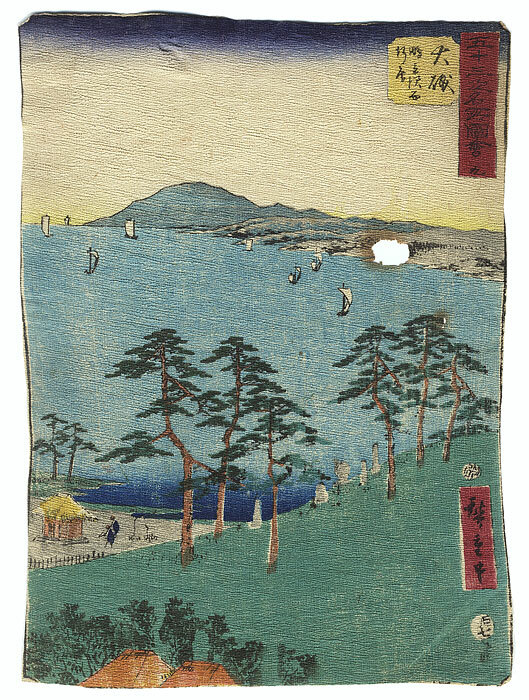 Takejiro Hasegawa was the best-known publisher of chirimen-bon or crepe paper books, producing many titles in English and other European languages for the foreign market starting in 1885. 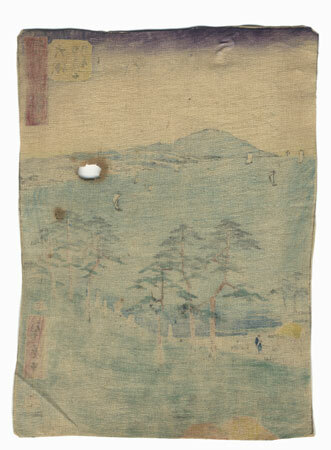 An interesting example of a specialized Japanese print technique that would make a fun addition to a collection, with a low opening bid price. Image Size - 8 5/8" x 6 1/4"
Condition - This print with nice color and detail as shown. Some rubbing. Loss near right edge. Please see photos for details.